It is the end of the Christmas fast and now is the time to go carnivore and to indulge in dairies, pottery and rich desserts. Amer is essentially a traditional Egyptian sweet or sour feteer (which is somewhere between crepe and pizza). With two branches in Heliopolis and Mohandessin, and over the years since the launch of its first Heliopolis branch in 1949, Amer grew and diversified -- they offer the traditional Egyptian feeter along with one of the Egyptian versions of Italian Pizza, crepe and most recently waffles. They currently call their feeter "oriental pizzas." 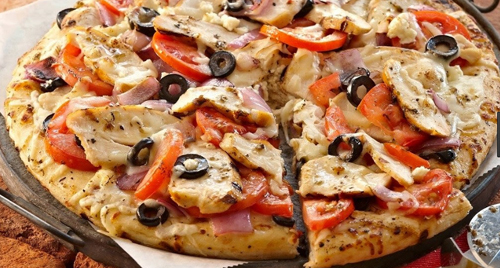 Unlike the Egyptian version of the Italian pizza – which is basically made of a much thicker dough with too many toppings and endless possibilities of extras – the oriental pizza has the topping turned mostly into a filling with only a very thin topping layer. The Amer menu for oriental pizza has five key sections, including meat, poultry, cheese, vegetables and seafood. The "Italian pizza" essentially sticks to the orthodox “Margarita and Fungi,” or goes into the more obvious: sausages, peperoni & Turkey. Amer use fresh ingredients, essentially because the affordable prices make it on a high demand end. Early orders could allow perfectly promptly delivery of warm pizzas that are cut into small squares to be served as an "intro" to the dinner. It was first in Alexandria, in the late 1920s, that "Gilato Azza" served out its first scoops of fruit sorbet and milk-based ice cream. Today with over ten branches in Alexandria and Cairo, the basic menu of strawberry, mango and milk that still tops the quality of all the other items that Azza offers – different flavours of fruit and chocolate ice creams, a variety of milky puddings and even cream caramel. Unlike most other ice cream or sorbet bars where a scoop comes only in one flavor, Azza offer its clients that chance to have a mixed scoop. 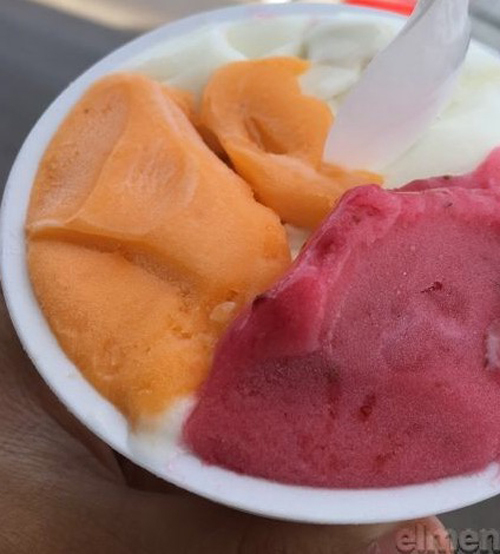 Azza has very basic paper cups that can serve from one to three scoops; or it offers its ice cream in kilos – quarters, or halves. Its ice cream / sorbet is always fresh. 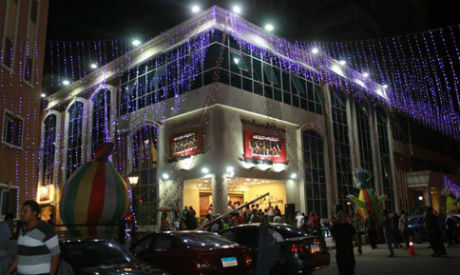 The best branch in Cairo is the one in Mohandessin (Lebanon Square). Its prices are certainly affordable and its taste is definitely unique. The traditional thinking is that Greek delights are essentially found in Alexandria. Well, there is also a presence for these delices in Heliopolis – on Baghdad Street, at the store of Christiane. Unlike most other Greek patisseries that were opened at the early decades of the 20th century, Christiane’s opened towards the end of the century – and it is therefore more oriented towards the modern Egyptian taste in its choice of cakes. However, it still offers the interested client the Greek specialties – but they have to be requested upon by early order. 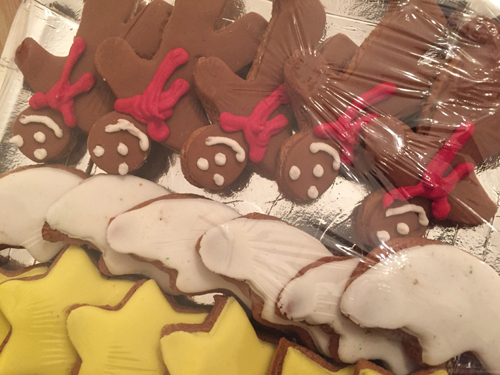 For Christmas, Christiane is offering the traditional Christmas cake, which has to also be made upon order, and ginger biscuits. The prices are far from being the most expensive in town. It is often for the desserts that the branches of Paul boulongerie and patisserie have been frequented since it opened in Cairo over three years ago. However, the bakeries of Paul are well worth exploring for those who have not tried them. 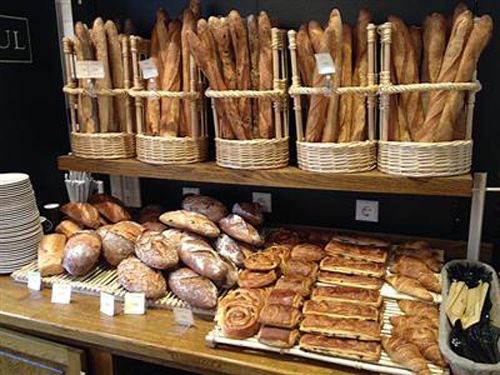 Their baguette bread is said by some French residents of Cairo to be very close to a good baguette that one could find in a nice Paris bakery. They also have a nice collection of gallettes, fougasses and brown bread. Their croissants come in a large diversity too – ranging from Zaatar to Pistachios. If you are thinking bread for diner for more than two, or a large basket of croissants and gallettes for breakfast, you need to consider an early order. For those who wish to complement their roasts and pannés with an addition of Kebab and Koufta Sobhy El-Haty is a highy recommended choice. The grills are fresh and tasty and they are not as expensive compared to other more frequented Kebab chains. Sobhy has all the Kebab-related sides but its best is the rice with raisins and cinnamon. It also offers some very nice stuffed pigeons. Sobhy delivers but not all across the city.